A mother-of-one who found out she had cervical cancer when she was 18 weeks pregnant felt “cheated of time” after the diagnosis. Katrzyna Spiewak had been given the all-clear after a routine smear test in Poland just two years prior to her IIB cervical cancer diagnosis. While Ms Spiewak, who lives with her partner Peter Brennan and baby girl Melanie, is not one of the 208 women affected by the current CervicalCheck crisis, she can relate to the emotional turmoil Irish women are facing. During the early stages of her pregnancy, Katrzyna became concerned when she experienced bleeding. She visited her Irish GP and another smear test was conducted. It showed Katrzyna had severe dysplasia and was referred to the colposcopy clinic in the Mater Hospital. “At that time, I still thought it was related to the pregnancy, so I wasn’t worried,” she said. Nine weeks later, she was informed she had IIB cervical cancer. “I couldn’t understand how it was possible to have an all-clear smear test two years previous and now have stage IIB cancer,” she said. Katrzyna said she can relate to the those affected by the current crisis. “It has been in my head a lot,” she said. “I do understand the feelings you go through [in that situation]. When you get an all-clear smear test it calms you down. Most people trust the system. Only a minority will say, ‘No, I don’t trust that’. “The majority will accept the findings and think maybe these changes are down to hormones or maybe it’s stress. 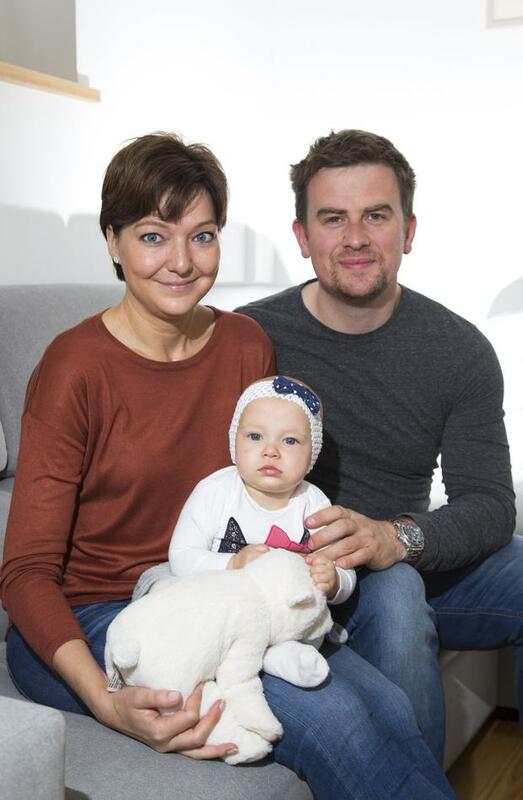 On September 28, 2016 Katrzyna underwent a C-section and hysterectomy, before beginning radiotherapy. “I can’t have any more children but I am still alive and I have my baby. For that I am lucky,” Katrzyna said.